A few weeks ago I was building a rabbit cage. We thought it’d be a great idea to raise rabbits, and we wanted to teach the kids responsibility by giving them the chores for the rabbit. So I embarked upon this construction project. I was nearing completion when the drill I was using to screw in the screws slipped off the head of the screw and buried itself in my thumb just above the cuticle. I had to purposefully remove the bit from my thumb and clean off the skin it took with it. Needless to say, it hurt. The other day I started feeling a strange sensation in my finger. It started small but quickly grew, and now I realize there is an infection in my finger. It sounds gross, but I’m more concerned with the fact that it hurts. It’s difficult to even type this article because of the pain and swelling and stiffness. Without my finger I have a hard time brushing my teeth, washing myself, using chopsticks, writing with a pen or pencil. It is not the loss of the limb that causes the difficulty. It is the fact that everything that touches it causes me to flinch with pain. Just sitting here I am constantly attentive to my finger. My whole body reacts to it. Sometimes I wish I could just cut it off, but that would be even more painful and much more permanent. So I’m just dealing with the pain and doctoring it and taking medication for the infection. My whole body wants my finger to get better. First the thumb; now the finger; I hope I don’t hurt another appendage any time soon. I can’t afford to lose anything. 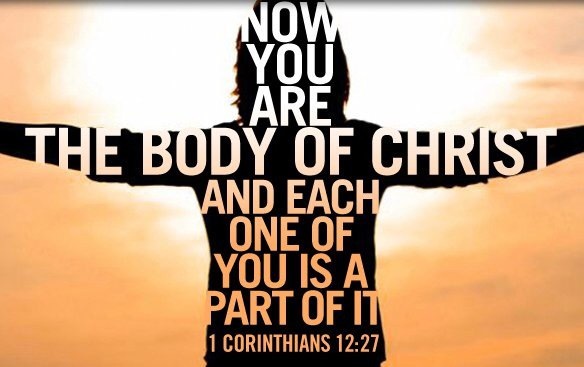 The apostle, Paul, said that the church is like a body (1 Corinthians 12:12-31). Each person is a different member of that body. Each church is like a different larger section of that body. What do we do when people are hurting? When a person who is super active and vocal is hurting everyone pays attention and prays and works to meet their needs during their trying time. The whole body seems to notice and help just like my body is doing for my finger and did for my thumb. But what about the people who are quiet and on the fringes? Do you even notice when they are hurting? Many times they are. Are you aware? Do you consider them part of the church – the body? When a person is hurting physically, emotionally or even spiritually they need people who know them and care about their needs. They need people to walk alongside them and carry their burdens. They need the church more than ever. The next time you’re with your brothers and sisters in Christ look around the room. Is there anyone you don’t know? Go meet them. Is there anyone alone? Invite them to sit by you. Is there anyone new? Take them to lunch and get to know them. There should be no fringes to the church. Jesus invited us all to be His children. He doesn’t show favoritism. It is easy for us to talk to the people we already know. It’s easy to go to the same wells to look for helpers with church activities. It is easy to create cliques within the church. But it’s time to stop. It’s time to notice what’s going on and make a change. There are people in need all around us, and we need to pay attention so that they don’t let the infection of whatever they’re dealing with make them wither away and die. 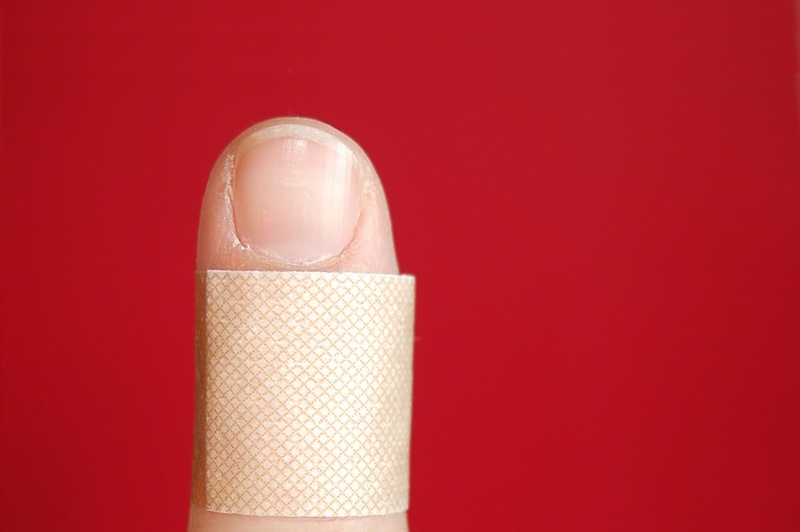 The body of Christ – the church – can’t afford to lose any members – even a finger. Have you ever seen the movie “Cast Away”? In the movie, the main character, Chuck, is a FedEx worker that is traveling back to the United States to be with his girlfriend for Christmas (when he plans to propose to her). On his flight back home his plane crashes into the ocean and he is the lone survivor. He is able to inflate the life raft and survives a major squall to wash ashore on a lonely island a thousand miles off course from where he should have been. As he learns his fate of being completely alone on this island he is overwhelmed with a myriad of emotions. One day he is working on a project necessary for his survival when he cuts his hand. A volleyball is one of the items that was being transported on the FedEx plane that washed ashore with him. He grabs the ball with his hurt hand and tosses it. When he sees it again, he notices that the blood from his hand has made a face shape on the ball. 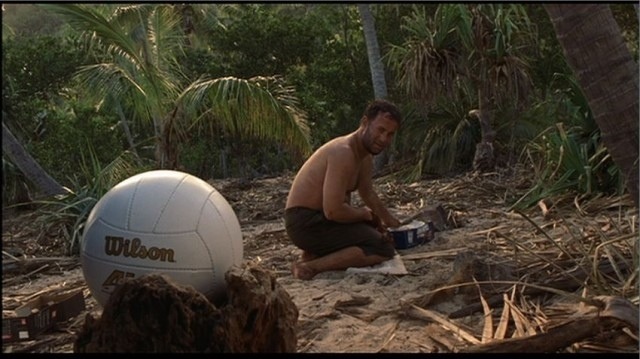 He decides to keep the ball as his new friend, and he names it Wilson (it was a Wilson volleyball). A couple of times during the movie Chuck gets rid of, or loses Wilson. Each time the realization of this loss throws Chuck into a panic. Why? Because it is not good for man to be alone. Even in this movie that has no injection whatsoever to God or religion we see this basic human need for community. Where do we get such a need? Well, let’s look at our Creator. In Genesis 1, God, whom we usually refer to in the singular, announces that he wants to “make man in our image”. God is referring to himself in the plural. People across the Christian spectrum refer to this plurality of God as the Trinity. God is three in one. In relating to our current discussion it is important to understand that God is in perfect community with himself. He is in complete love with himself, and He doesn’t need you or me to complete or add to His community. The love God has among himself is such that He is inseparable from Himself. This all sounds a bit schizophrenic, but I am referring to God the Father, Jesus the Son, and the Holy Spirit. Jesus on multiple occasions commented that he could do nothing without the Father and that he and the Father are one. This relationship is perfect example of what every marriage should strive to become. In God, one plus one plus one equals one. In marriage, one plus one equals one. So, God is in perfect community with himself. Then He invites you into His perfect community. When Jesus gave the great commission in Matthew 28:18-20 he says that the disciples are to baptize people into the Father, the Son, and the Holy Spirit. Then they are to teach them to do what has been done and taught to them. This teaching still rings true today. We are connected with the Trinity in baptism; it is then that we come into community with God. We also come into community as we fellowship with others who have joined into community with God. Ecclesiastes talks about the need for us not to work alone for we could be easily destroyed. We need each other in our walk with God. Satan is constantly out to get us. Sometimes he uses our own minds when we are alone to trip us up. Sometimes he uses people to attack us when we are alone. When we are living in that community of Christ we are strong and can live much fuller lives in Christ. Does that mean we move into little communes where we escape from the world? No! What that does mean is that we engage the world together. We are called to be the church with the church. When I was younger I thought I could maintain my community with God without having to participate in the community of believers called the church. So I quit going. It wasn’t long (days) before Satan came in and attacked, and I had no defenses or support group to help me stand strong. We need the community of believers. Hebrews 10:25 encourages us to make the habit of meeting together (we call it “going to church”) a priority in our lives. What’s more, we are given the opportunity each week to celebrate our community with the Trinity and with the believers in a time we call “Communion”. When we “eat his flesh and drink his blood” we sustain the life inside us that was given at baptism. We maintain our fellowship with the Trinity, and we celebrate all this in community with other believers. This is a very important, very significant celebration each week. Jesus said that if you don’t participate in this you you have no relationship with him. We are called to do it often. If there’s ever a Sunday you are looking to celebrate communion, then you can always come to the Nichols St. church of Christ. We offer this every Sunday in celebration of the life that was given to us through the death of Christ. You are always welcome there. To sum it up, God is in community with himself, and he doesn’t need you, but he wants you desperately. He wants you so badly that he came to the earth in the form of Jesus to make a way for you and me to join his community in spite of the many times we have gone against his will for our lives. He then calls us to stand strong and not fall away as we fellowship with the other believers. Let me tell you, life as a Christian is much easier when there are other people walking alongside you going the same place you’re going. How does this relate to you? Have you joined in the community of the Trinity through baptism? No one can force you to join. It has to be your choice. God loves you, but he won’t force you to love him back and become one with him. Have you ever thought you can be a Christian without the church? It’s time to come home. Churches are made up of sinful humans saved only by the grace of God. Naturally they aren’t going to be perfect places. If you’re looking for a church where the people don’t make mistakes, you won’t find it. You can, however, find churches all over teaching the truth of God’s word, celebrating in His communion, and striving to live righteous lives as we celebrate the grace that covers over our many shortcomings. May you come into that community with God and with his church. You are invited into this fellowship. If you’d like to know more about any of the things discussed here, feel free to email me at jddobbs@verizon.net or call the office at 245-1611. God bless you as you come into community with the love of God and the church that is His body.